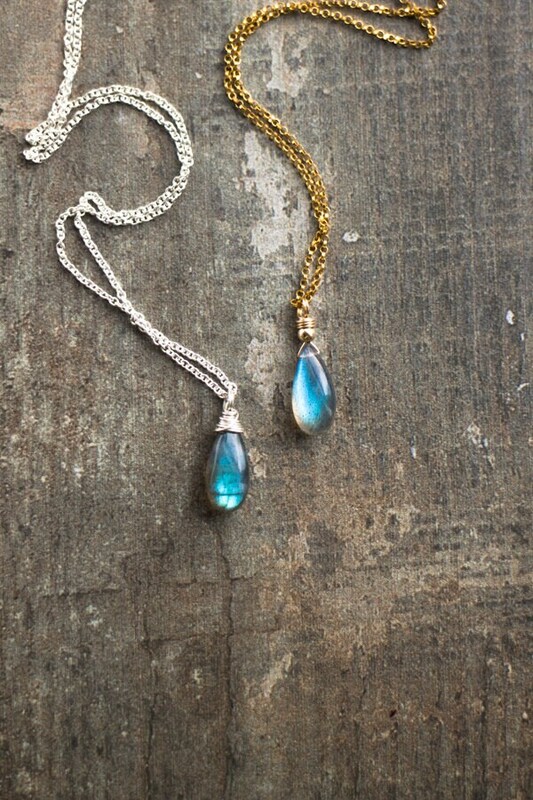 These dainty yet striking necklace features gorgeous Labradorite stones with a sweet smooth drop cut with it's mesmerising blue flashes! 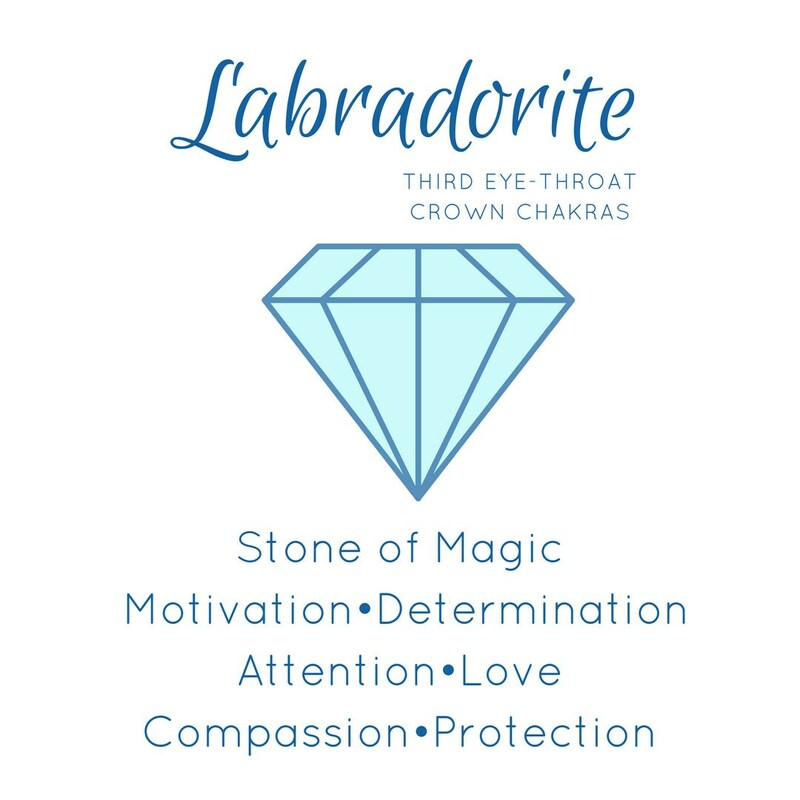 Available in two pendant styles and three metal choices. •Dainty, elegant yet eye-catching! It comes with a matching crystal information card in a beautiful Abiza gift box, perfect for gift-giving! 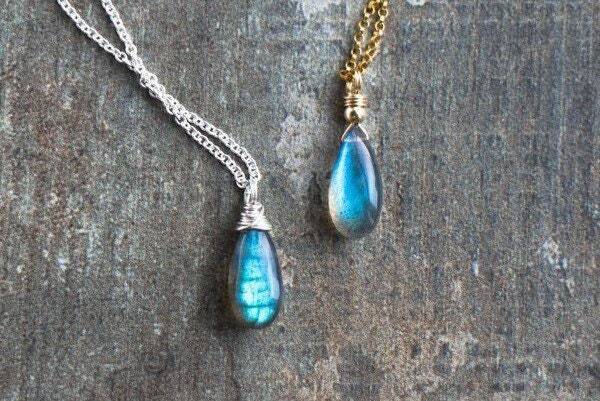 •Labradorite stones are 15x7mm, on the small side. 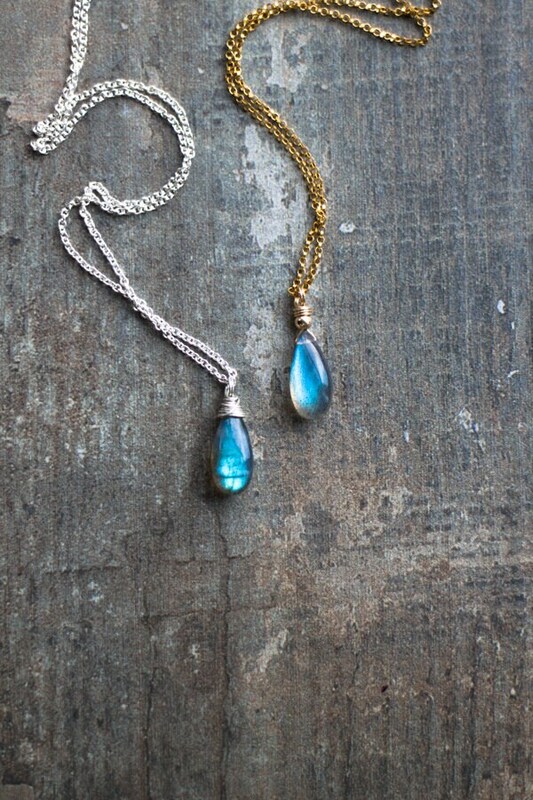 Pendant measures in total 20-22mm depending on the style chosen. Please see the 4th and 5th images for the variations and the scale. 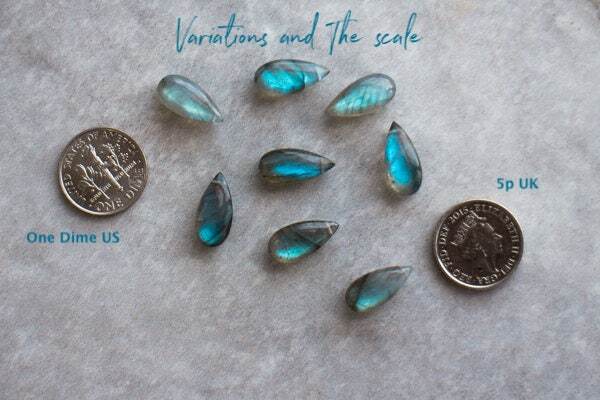 •Very high quality with blue to blue-green unique flash to each stone.Please read below if you're not familiar with this interesting natural beauty! 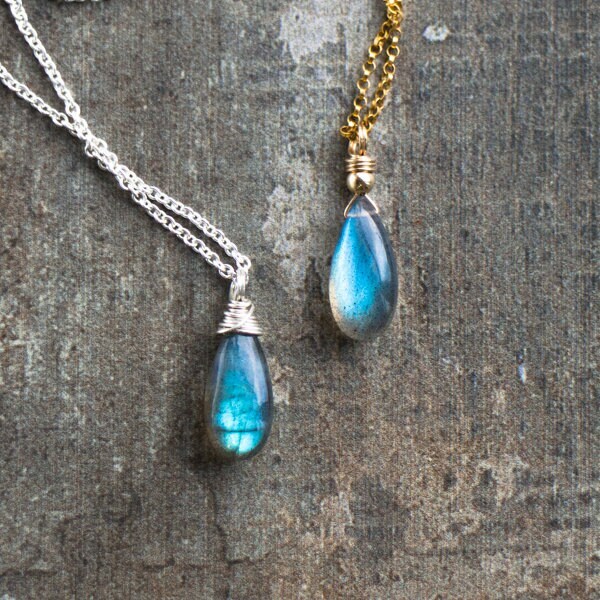 Style A: Stone topped with a single bead and minimally wire wrapped. 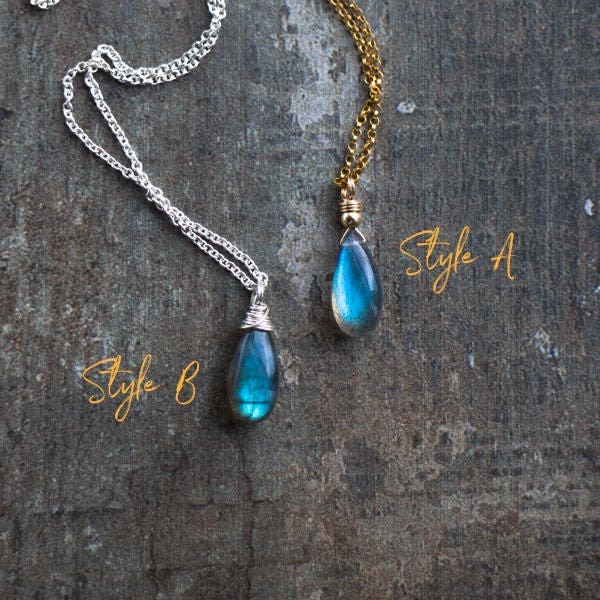 Style B: Classic wire wrapped pendant. •Available in 14K Gold Filled rolo, Rose Gold Filled curb or 925 Sterling Silver cable chain and spring clasp closure. 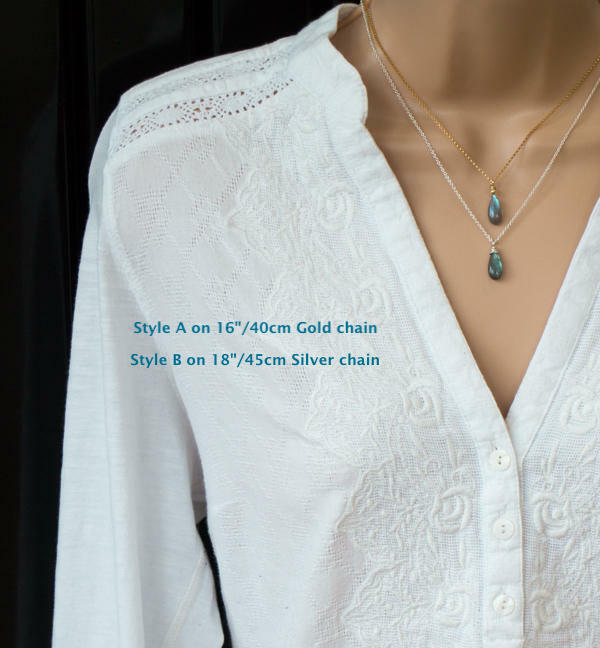 •Please see the 5th image and choose your necklace length from the menu. Very nice quality and exactly look like the photos. Gorgeous, and perfect for my 16 year old on her birthday. She’s worn her new necklace every day! extremely helpful seller and dispatched very quickly! Beautiful product!